The 23rd October, 14 startups have crossed the channel in order to launch the cooperation program between Paris and London on innovation. Paris&Co and London&Partners have announced a new cooperation aimed at boosting the circulation of entrepreneurs between Paris and London. Savills IM has launched the Dynamic Cities project in recognition that future commercial real estate market performance is dependent on strong economic growth, wealth, technology and population trends. 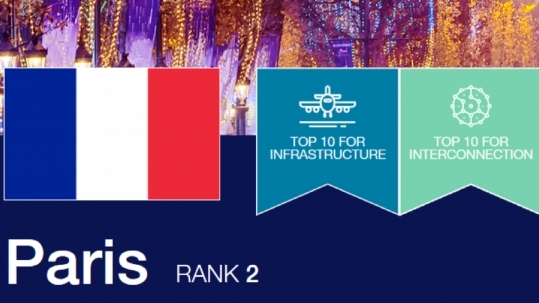 With 10 French organizations among the world’s 100 leading innovators in 2016, France remains third in the world and in first place in Europe, with three R&D centers (CNRS, CES, IPF Energies Nouvelles), and seven companies (Alstom, Arkema, Safran, Saint-Gobain, Thales, Valeo, and Total) making the list.